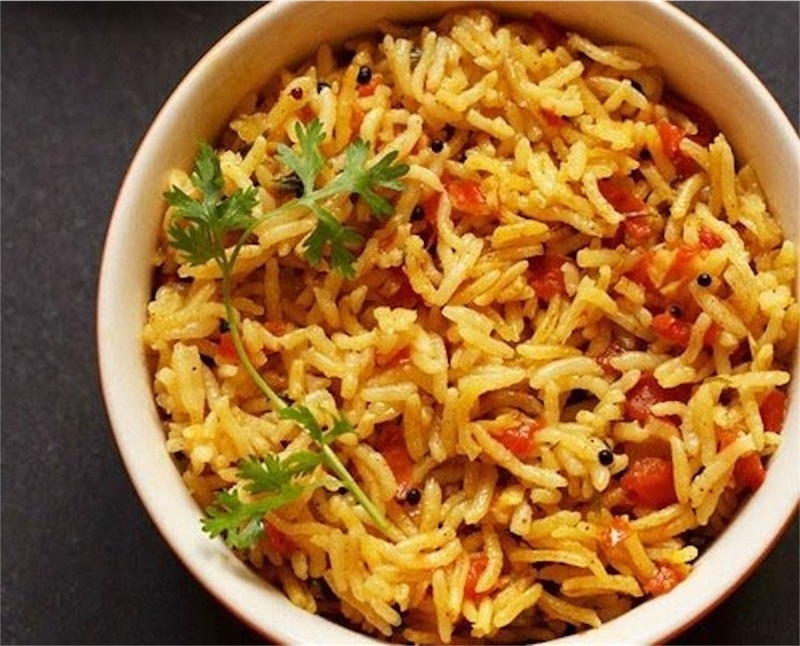 spicy south indian tomato rice. you can have the tomato rice plain with some papads or chips or serve it with raita. also goes well in the tiffin box.